The cupcake beast baker from within resurfaced days ago making these gossamers for Relationship Status Awareness Day. The inspiration came from a cake recipe found on the internet as "The BEST chocolate cake ever...that happens to be vegan" - and it's easy to understand why. If you disagree, then you're probably just a brownie eater or hate desserts. 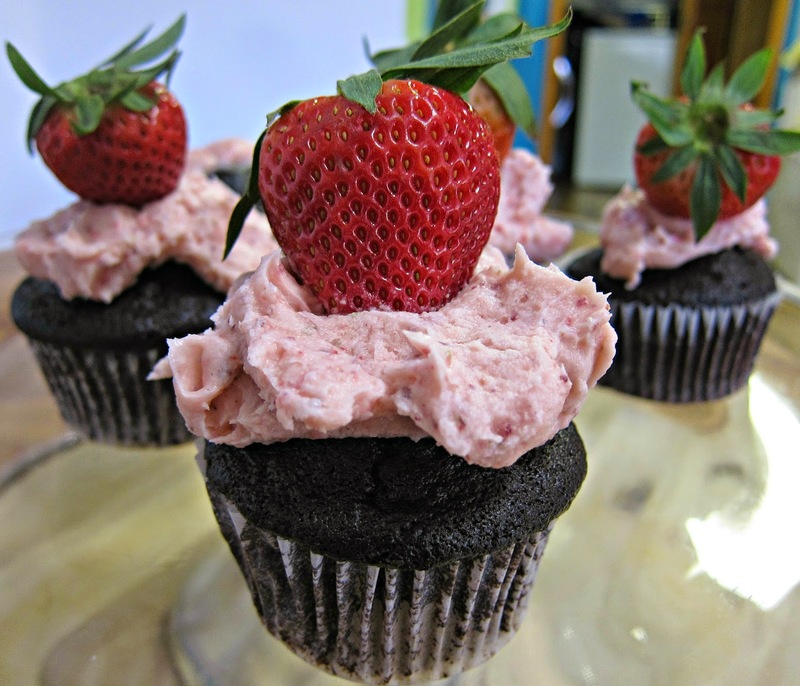 Roses and strawberries turned into the frosting; just add champagne and boom you're Cassanova. Get cupcake pan ready - grease tins or papers. Mix wet ingredients together and combine with dry until well incorporated. Pour into cupcake holders. Bake for 14 minutes. Cool for at least two hours before frosting. Beat vegan butter until fluffy. Add powdered sugar, roses and strawberries and beat for two minutes. Frost your cupcakes and be merry.